Bendigo is one of the best places to live and work in Australia. With a rich history, it now needs to develop a vibrant and prosperous future in a demanding and changing the world. That can’t be done by government alone, it requires Bendigo businesses to come together to imagine a greater future and design how that can become a reality. What I bring to Be.Bendigo? An insatiable appetite to see Bendigo improve. For over 20 years I have been passionate about Bendigo, developing upon its strengths, driving initiatives like the new hospital, improved court facilities, decentralised ambulance stations, increased involvement of women in leadership, improved recruitment and retention of professionals in Bendigo. As a family lawyer and Director of O’Farrell, Robertson McMahon lawyers, I see that Be.Bendigo can provide essential support for local business. As a vibrant prosperous Bendigo is a healthy, happy Bendigo. We require a collaborative approach to ensure that Bendigo businesses thrive; one that considers education, health, technology, arts and small business as well as big industry. Together we will be able to make a much better impact. From a business perspective, I oversee a large portfolio in the public health sector involved in the employment of approximately 1500 staff and the management of significant assets. 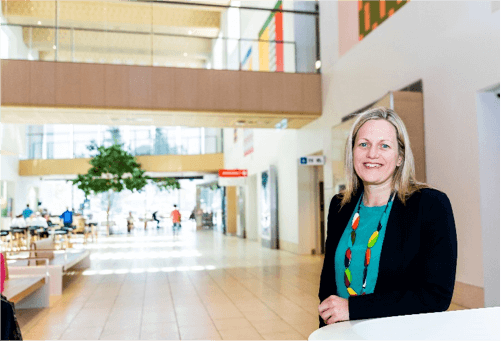 I have a clinical health industry nine background and have spent part of my career working in strategic and business planning and health systems management– driving improved performance for the health business sector. I am passionate about the interface between better business and better health and am proud of the contribution that Be.Bendigo is making to building the leadership capacity of the region. All great communities have a range of voices that contribute to their wellbeing. It is essential that the business community in Bendigo have a strong voice for the strategic growth and development of the region, to bring industry sectors together with community, education and government and also to celebrate the achievements of its members. What do I bring to Be.Bendigo? 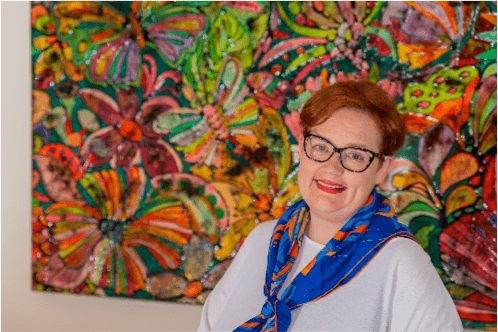 I am passionate about the inclusive growth and development of the Bendigo region and seek to bring a broad strategic perspective to Be.Bendigo. I have operated a local business Birchgrove Property for over 25 years and have worked extensively in the area of building new communities. I currently chair the Strategic Advocacy Committee of Be.Bendigo which is the lead proponent of the Smart City Bendigo Alliance aimed at improving community outcomes and bringing new forms of government funding to this region. I enjoy better understanding the changing influences on Bendigo and also serve as the President of the Urban Development Institute of Australia (Vic), a Board Member of Remembrance Parks Central Victoria, a Member of the Loddon Mallee Regional Development Australia Committee and a College Councillor of Bendigo Senior Secondary College. Be.Bendigo is important as it is the only local group which is centred around Bendigo and the issues facing local business big and small. Be.Bendigo is vital to the strength of Bendigo business as it needs a voice to advocate for the issues Bendigo as a growing city faces. Be.Bendigo also works with local, state and federal authorities to make Bendigo a great place to do business. I have lived in Bendigo all my life and my family has grown up here. I am passionate about contributing towards Bendigo being a great place to live and work. 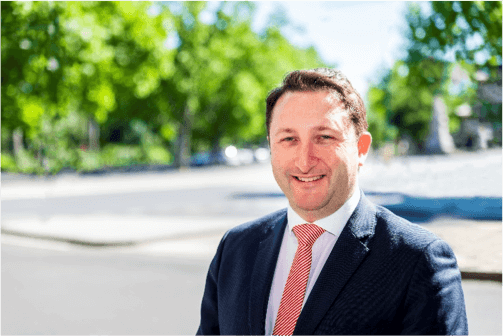 For Bendigo to be a prosperous city, I bring the understanding of a professional who speaks to and deals with many local business owners and has understanding of the issues which affect Bendigo and the business community. I am also involved in other not for profit organisations in Bendigo and also bring this perspective to the board. To engage with others, to provide advocacy opportunities, to promote, inclusion and diversity. Be.Bendigo creates opportunities for businesses to enhance, continue and start business relationships. Be.Bendigo is important as it truly represents and supports the needs of local businesses of all sizes. To represent and collaborate with local businesses and to start the conversations with local council and government on what business needs and wants. Fresh eyes on the business side of Bendigo – particularly from a small business perspective. I have recently started a small business with a focus on leadership, management, facilitation and consultation. The importance of community inclusion, engagement and diversity. This was a key part of my 25 years in senior management roles within a not for profit organisation. Bendigo is such an enjoyable place to work and live. Our economy is diverse and successful, and the lifestyle that comes with working, living and doing business in Bendigo is second to none. Be.Bendigo is an important part of this by being the voice and advocate for Bendigo businesses, and by helping build and develop business-to-business relationships, which in turn helps Bendigo businesses succeed. When Bendigo businesses succeed, all of Bendigo benefits, and this great city becomes even greater and more liveable. 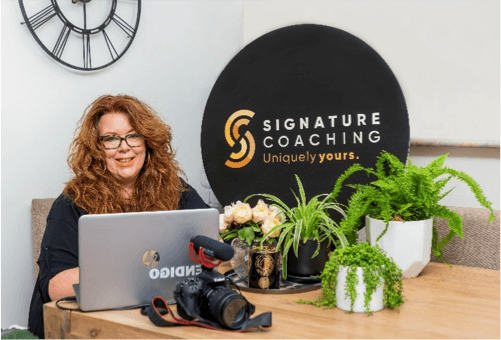 I’m lucky to be the accountant and advisor for many Bendigo businesses, and in that role I gain a valuable insight into what’s on their mind, good and bad. I bring this broad-based business insight to Be.Bendigo which enables me to make a valuable strategic contribution to Be.bendigo and support our members. Small, medium and large businesses, and the community alike, look to Be.Bendigo to be a guiding voice in providing Greater Bendigo the best chance to be one of the most successful and vibrant regional centres now, and in the years to come. Be.Bendigo provides a platform for businesses and individuals to connect with likeminded people within the community, it helps to develop the skills and capabilities of the leaders of the future, and it guides and assists in the growth of Greater Bendigo. As a young professional within the Bendigo community, I bring a different perspective and a young voice to the Be.Bendigo Board. Working for Bendigo and Adelaide Bank allows me to impart the knowledge and expertise of one of the largest employers in Bendigo onto the community, business and Board alike. Be.Bendigo is a key integrator and gateway for existing and new businesses and professionals in Bendigo and central Victoria. Through Be.Bendigo, the business community can access a diverse range of resources, expertise, and business to business (B2B) opportunities to partner with business and government to the mutual benefit of individual benefits, and broader the community and social benefit. Be.Bendigo is an advocacy body which looks to present a concise and well understood voice of the business community. 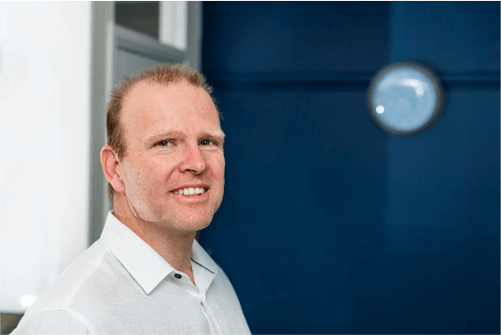 Dennis started as CEO at Be.Bendigo in 2018. Previously he was a leader in local organisations as the Manager of the Bendigo Football-Netball League, as the AFLCV Operations Manager and as the Retail Executive at Bendigo Bank. 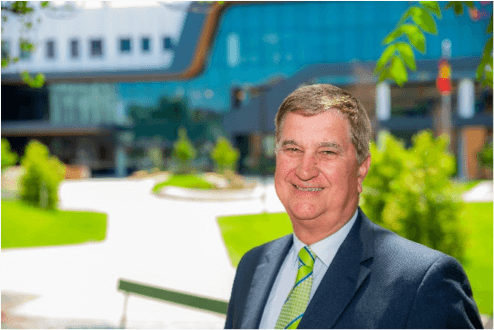 With an extensive background in business and finance during his +30 years with Bendigo Bank, Dennis will focus on creating partnerships to help “value-add” for local businesses. Dennis notes that one of the great privileges of his role is the connection and relationships with so many small businesses, where he has the opportunity to see first-hand how hard they work and how important they are to our local community. 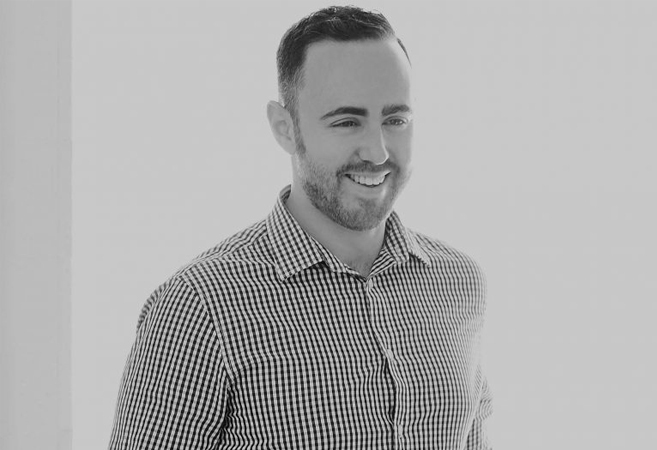 Jayson started at Be.Bendigo in 2016 as the Engagement Manager, with experience in the energy and telecommunications sectors. He has a strong background in hospitality and after moving from Melbourne in 2011 he most recently operated Cortille Bendigo. 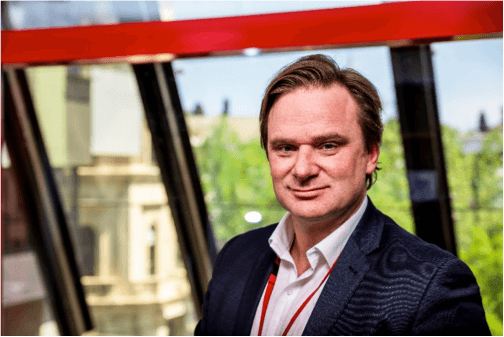 Jayson’s role at Be.Bendigo is to facilitate connections between our Partners, Members and the wider business community. He is driven to improve business conditions for small business and achieves this by building strong, meaningful and lasting relationships. 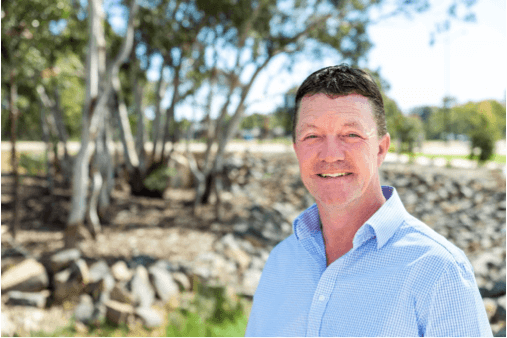 Since 2017, Jayson has also been the Project Manager of the Bendigo Business Excellence Awards. 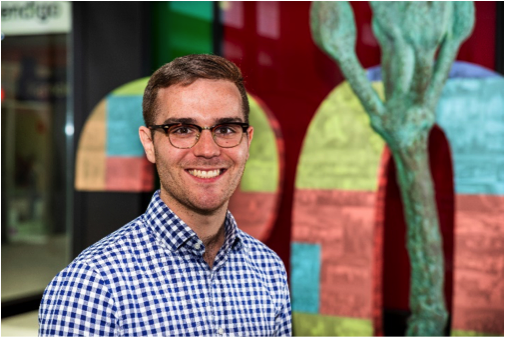 Dave joined Be.Bendigo in January 2017 to take on the exciting role of Project Manager, Bendigo Inventor Awards. Dave’s experience in a national role within iconic Bendigo brand, Jimmy Possum is a great strength in building engagement in his capacity with Be.Bendigo. 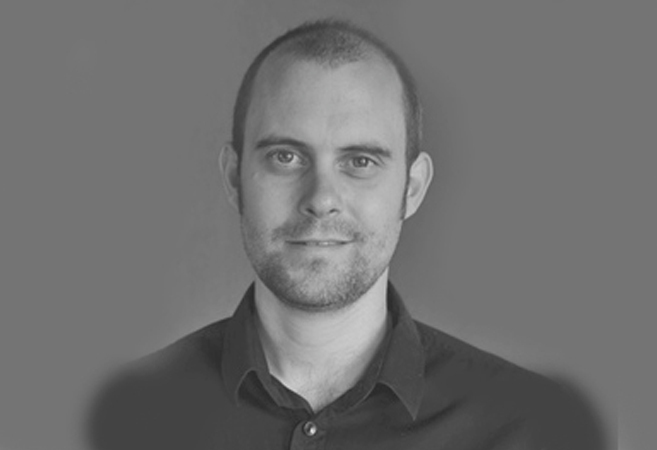 Dave’s role includes program development, relationship and events management with program partners and entrants. Dave works closely with the Bendigo Inventor Awards Committee, current and prospective partners, as well as Local and State Government in creating, communicating and directing the Bendigo Inventor Awards Program and the Bendigo Invention & Innovation Festival. We are the peak body for business in Greater Bendigo advocating, collaborating and engaging with Partners & Members from around the region. Our members come from a range of industries and include major corporations, large private enterprises, start-ups and small to medium size businesses. Be.Bendigo provides businesses with the opportunity to develop relationships with a broad range of organisations. We currently employ a small team of staff and no matter the stage of your career, we offer rewarding and challenging opportunities, plus a range of benefits that assist in building a career with Be.Bendigo. To apply for a current vacancy please click on the position listed below and follow the steps outlined. There are currently no active advertisements. If you have any queries in regards to our current vacancies, our recruitment process or about working at Be.Bendigo, please contact our office on (03) 5442 7816 for more information. Each year Be.Bendigo publishes its Annual Report, outlining the organisation’s performance during the financial year in review.